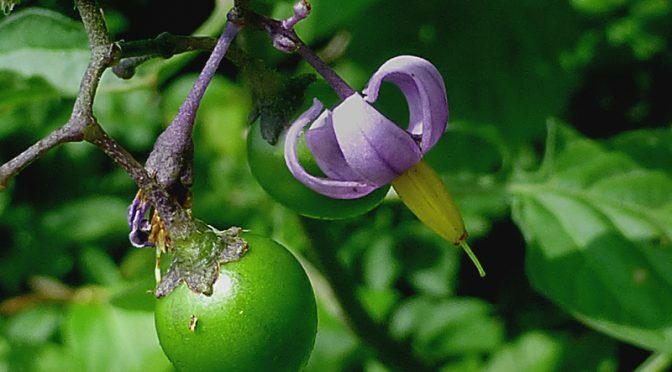 The purple Climbing Nightshade wildflowers are blooming along the trails at Fort Hill. They are such a pretty wildflower with purple shooting star shaped flowers with 5 violet curved petals swept back from a central yellow “beak.” They grow in round clusters at the end of a long stem. The flowers are tiny, only about 1/2” while the vine climbs to 4 feet. Enjoy these beautiful, delicate wildflowers from a distance!